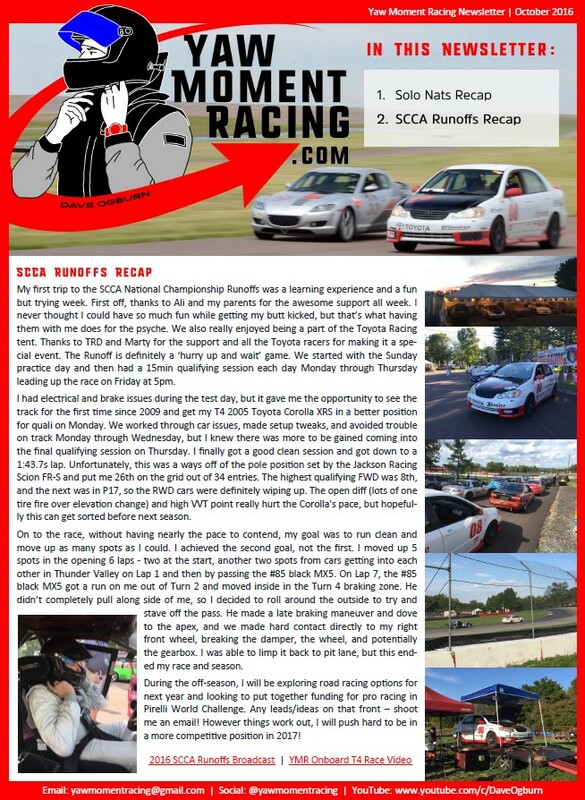 I'm a bit late posting this to the website but this was last newsletter I sent out recapping Solo Nats and the Runoffs. 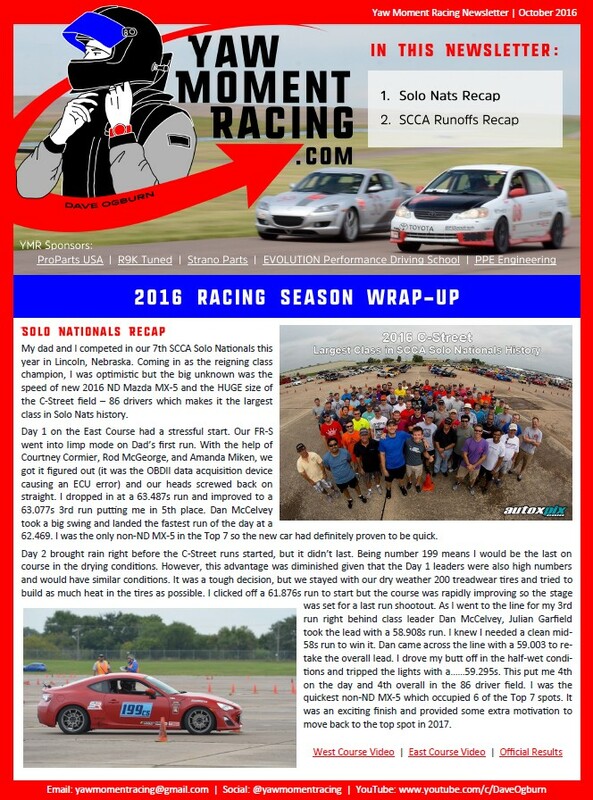 I will have a new newsletter coming out shortly with 2017 plans. Email me at yawmomentracing@gmail.com if you would like to be added to the mailing list. Thanks!